What Are The Best Types of Hot Tubs? Home / Hot Tubs / What Are The Best Types of Hot Tubs? Looking for a warm, calming place to relax and rejuvenate? Take a dip in a hot tub, or otherwise commonly referred to as: “Jacuzzi,” “Whirlpool,” or “spa.” A hot tub is smaller pool of heated water typically with whirlpool devices or jets. People often use hot tubs as a form of relaxation to stimulate senses, relieve sore muscles, or simply soak and socialize. The experts at Shoreline Pools share everything you need to know about hot tubs, including which hot tubs are best for your pool area, intent, and lifestyle. Did you know that people have enjoyed the therapeutic and social benefits of hot tubs since ancient times in the form of hot springs? The first home hot tubs consisted of old wine vats, tanks, and barrels before filling these large tubs with hot water; though, this design was primitive as there was no way to heat the water. Before seats, hot tubs were very large and could hold approximately 20-30 people. The modern hot tubs we enjoy today originated in California during the 1950s. According to Aqua Magazine, the Jacuzzi brothers invented the first portable hydrotherapy pump—the J-300. This invention could turn any bathtub into a spa-like atmosphere. The Jacuzzi brothers concocted this invention because a child in the family was receiving hydrotherapy treatment for arthritis and had difficulty traveling to Berkeley, California to receive treatment, 65 miles away. During the 1960’s, it was all the rage to have an in-ground hot tub right next to your swimming pool. Many viewed in-ground hot tubs as accessories to a swimming pool when they were first popular; but now many people have stand alone hot tubs. In-ground hot tubs provide fun and entertainment aside from swimming in a pool; a hot tub provides a more casual and intimate setting. Furthermore, you can use hot tubs year round; it is common to enjoy the steam rise during the cold weather months. Created in the early 1980s, homeowners built portable hot tubs with an acrylic shell to be both convenient and easy to install. Thus, homeowners could now shift their hot tub’s location. For this reason portable hot tub sales increased over in-ground hot tubs. 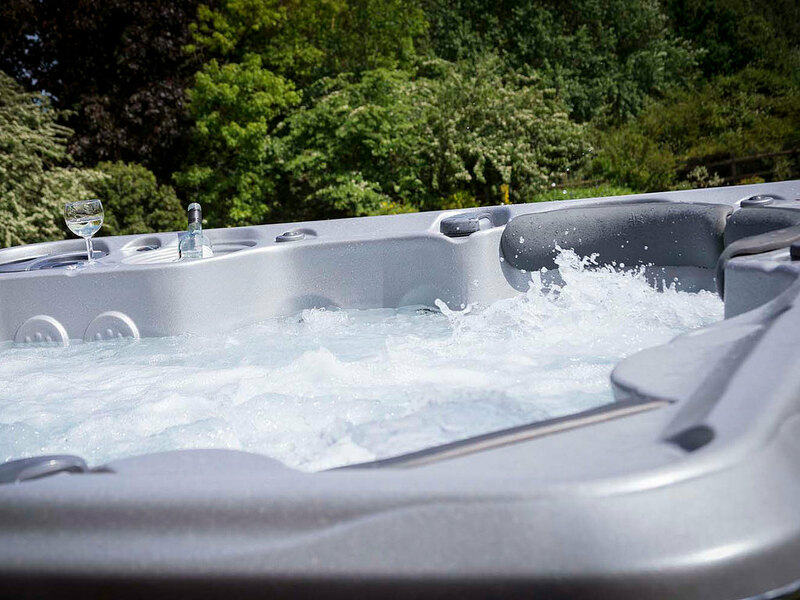 Portable hot tubs also offer controls to manage various features such as adjusting the jet speed and direction as well as temperature. In addition, portable hot tubs include adjustable lighting. Each year, technological advancements become more immersed in technology. Today there are advancements in pool design to best help improve and simplify a homeowner’s experience according to their lifestyle. Hot tub manufacturers are striving to produce hot tubs that are more energy-efficient. 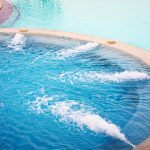 Pool owners who are environmentally conscientious can go green with new water care technologies that help protect the ozone and installing salt water systems. Furthermore, technological home entertainment features are gaining in popularity. For example hot tubs offer built in stereo speakers, iPod docks, flat-screen televisions, and lighting systems. Jet and hydrotherapy upgrades can better create a spa experience. Consider installing shoulder jets above the water line or pillow jets that act to massage the neck. Also, swirl jets move water in a circular motion simulating a massage or pair mini gets for a multi-massage against the back. Experts believe these add-ons are “experiential entertainment” features designed to meet the needs of a visual customer base. New technology allows homeowners to control their hot tubs through computers and smartphones. Whether your backyard space is best suited for an in-ground hot tub, portable hot tub, or you want to upgrade your hot tub features, the experts at Shoreline Pools can get you started by helping you find the hot tub that is right for you. 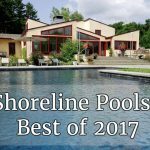 Contact Shoreline Pools today for more information. What Is a Scupper in Swimming Pool Design?